Candywriter is offering a new strange app to iPhone and iPod touch users since today. 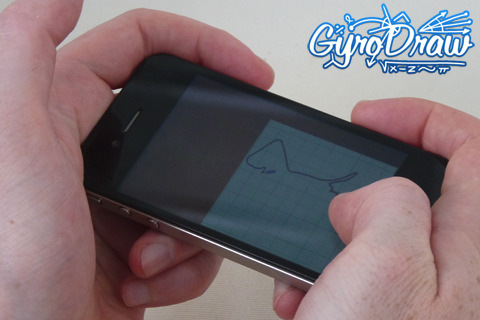 The app is called GyroDraw 1.0 and is sketching app letting iPhone 4’s users draw with it’s built-in gyroscope. Drawing on your iPhone is accomplished by sliding a virtual paper under the fixed virtual pencil. But in case you have an older iPhone it is also available with it’s accelerometer, and it works otherwise, here the pencil moves. Users can choose according to the abilities of their phones to use accelerometer or the gyroscope. Tilting the phone left or right in Accelerometer mode allows the user to drop a pencil around the screen towards gravity. In Gyroscope mode, on the other hand, rotation of device slides a piece of paper about the pencil.﻿ iPhone 4 offers three-axis gyroscope measuring angular velocity and built-in accelerometer, giving six-axis motion sensing. ﻿Gyro Draw users can pick between seven types of background paper—printer, graph, legal, and more—and toggle between 16 different pencil colors. 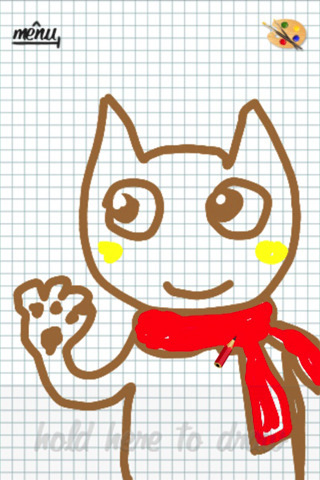 The app also offers options to adjust the thickness and the speed at which you draw. Gyro Draw 1.0 is available now and is free for a limited time. The app is available exclusively through the App Store in the Entertainment and Education categories.